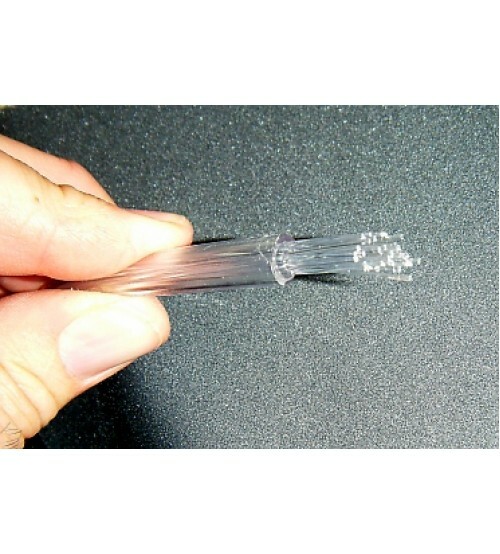 SG35 Stranded Sideglow cable is a clear jacketed cable appx. 9/32" or 7.14mm wide. Stranded is more flexible but not as bright as the Solid SG cable. Sold per Foot. Cable will glow approx. 50-80 ft unless looped back to light unit. Recommended light units: FOP75 Watt or FOP150 metal halide units. Bend Radius around 3-5 inches. SOLD PER FOOT. 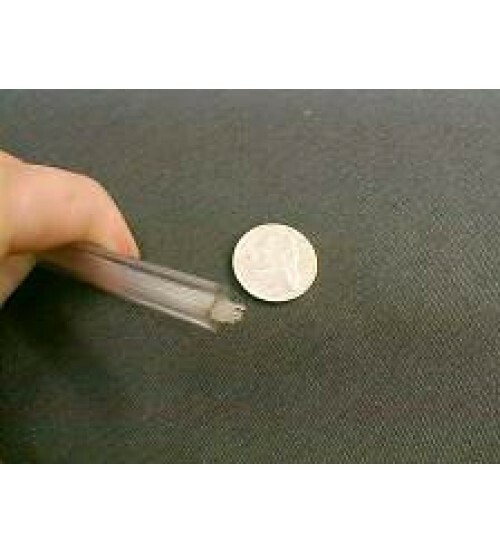 Standard PMM plastic Fiber. We add an Algicide, Fungicide and UV chemical added to jacket to improve life of the Vinyl Clear Jacketed cable.